Look at that lovely soft pink. Spring blush, right? I am going to paint that phrase on a sign and stick it in my garden. 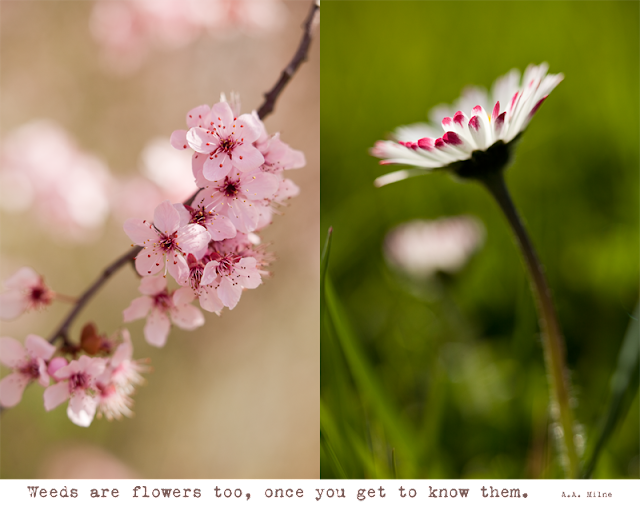 In the meantime, your photos are doing a wonderful job of reminding me that flowers are coming! Thank you for sharing them! I have a pretty picture of the same pretty pink flowers from Port Ludlow! See? We weren't that far away! We are still a month away from cherry blossoms here! I love the deep pink tips on the daisy, and the girly-girl pinkness of the cherry blossoms! We woke up to snow on our flowering plum this morning! Is it really April? Our neighbor once said, " A rose in a football field would be called a weed." Interesting thought, eh? Love your pictures Gaily! They are so soft and gentle! Sunshine today and hopefully I'll get to those weeds.....I don't want to get to know them at all!